We hope you all had a good start to the new year and are back in full swing, still sticking rigidly your New Year’s resolutions. 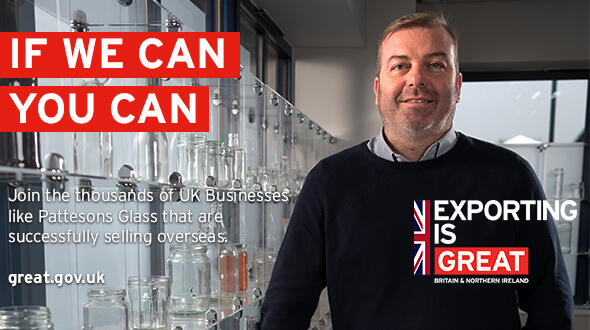 We would like to take this opportunity to remind you that we are still accepting applications for our Exporting for Growth programme which has already helped over 650 companies in Yorkshire and the Humber. We have already invested £1.4m in grant payments, which has helped business in the region increase their international sales and realise their growth aspirations. If you have contacts or clients in the design, marketing, consultancy, market research, website development or translation services we are encouraging you to reach out to service providers you know and ask them to promote the programme to their client base. By promoting the programme, service providers will be incentivising their clients to access the grant to spend on projects that have the potential to generate additional revenue for them. We know this may sound complex, but it does work. We have even developed some suggested content you can send to your service providers. We are starting the New Year with lots of opportunities helping business grow their export turnover. If the New Year’s resolution is to sell more overseas, companies should join one of our tailored workshop programmes. We would like to thank you in advance and wish you a successful 2019. Export Co-ordinators Yorkshire and the Humber.